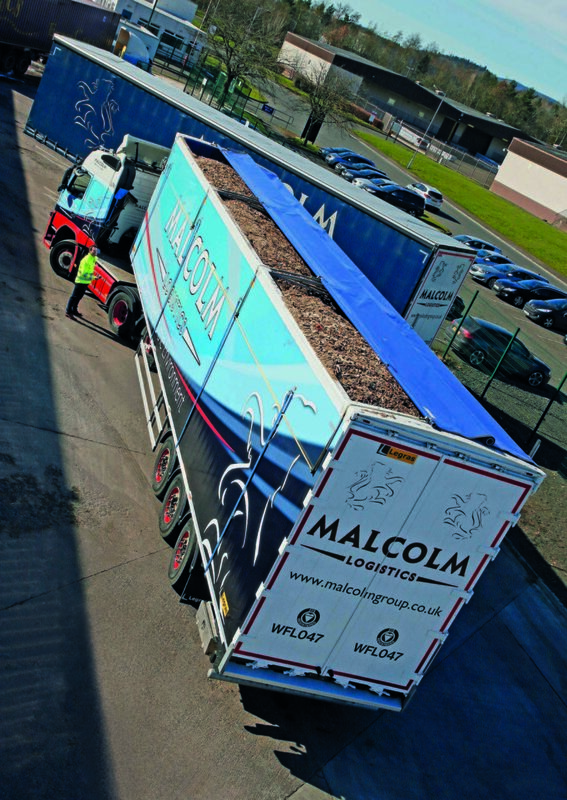 Long established as the preferred sheeting supplier for the Malcolm Group’s Construction division’s ﬂeet, HARSH has now won similar approval with the walking ﬂoor trailers operated by Malcolm Logistics. 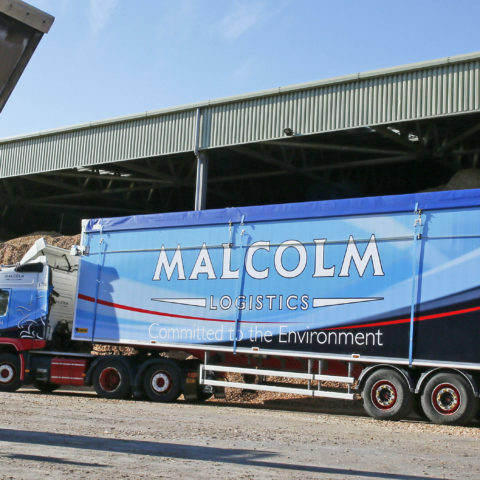 Malcolm Logistics offer fully integrated road, rail, warehousing and bonded warehousing services throughout the UK. Ideal for carrying biomass and woodchip products, these hi-cube trailers provide a huge 112cm3 internal loadspace. To achieve this capacity, the trailer sides are over 4m tall, a height which presents particular challenges for conventional sheeting systems. ‘Hi-cube walking ﬂoor trailers such as our Legras units are now far too tall for a driver to be able to look into the top of the trailer to see the sheet opening and closing over the load. From a Health & Safety point of view this is a good thing because the driver now has no reason at all to climb onto the vehicle to work the sheet. In turn, high sided trailers force the driver to operate the sheet in the safest place possible -standing on the ground. And that really means electric operation, by hand -held full remote control. This way, the driver can stand away from the truck, look up, and visually conﬁrm that the position of the sheet is where he or she wants it. 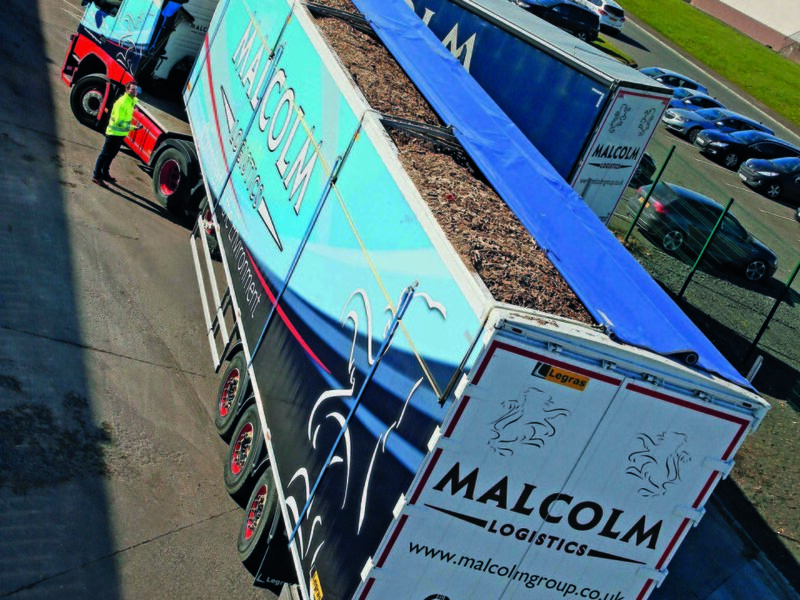 With the ﬁrst units supplied two years ago, the HARSH remote control Roll n’ Go fully electric sheeting system is now ﬁtted as standard to all the latest -speciﬁcation Malcolm Logistics walking ﬂoor trailers, over 20 of which are now in service. Aside from the remote control operation, the Roll n’Go sheeting system offers other advantages too. The ﬁrst is that it’s fast, needing only around 7 seconds to fully cover or uncover the open top of the trailer. 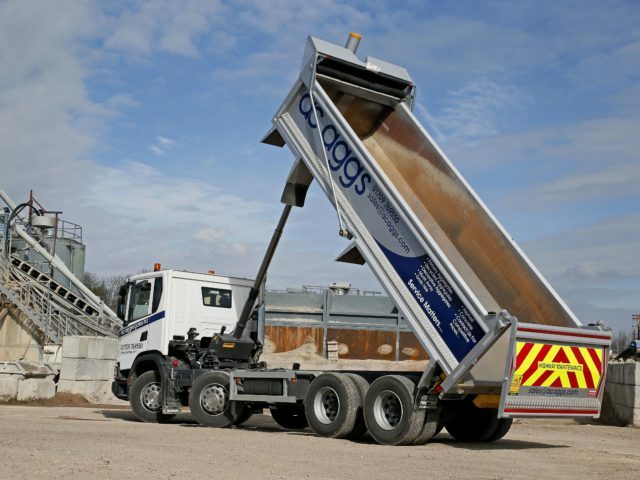 Second, it offers full weather protection and load security -important when carrying products such as dry woodchip. 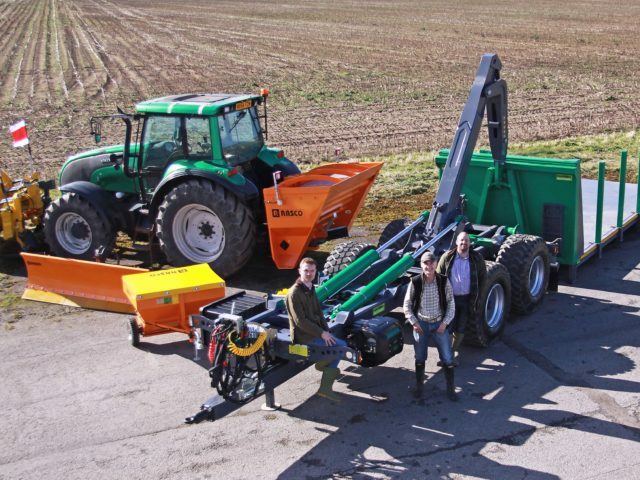 And of similar importance, Roll n’Go is built with lightweight yet highly robust components, providing for reliable operation in all weather conditions from strong winds to hot sunshine. 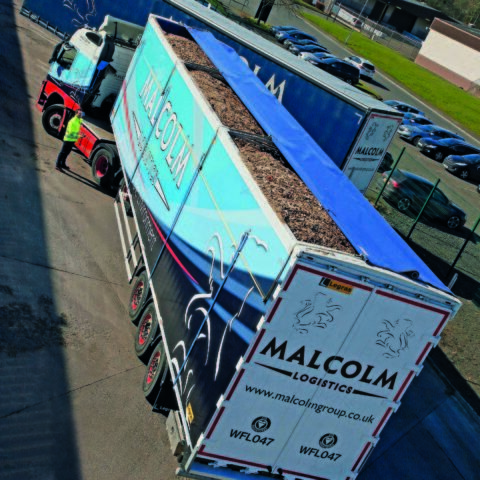 Aside from these side to side trailer sheets for the Logistics division, HARSH has been supplying the Malcolm Group business for over 15 years with a range of products including front to rear sheets for 8×4 tippers, front end tipping cylinders, tractor wet kits and skiploaders.